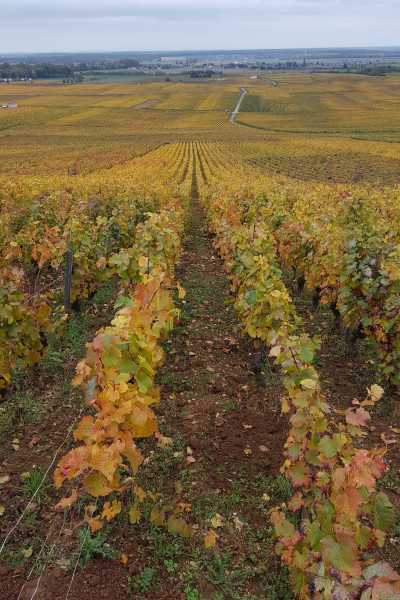 My little vine is so wonderful this fall, I cannot resist showing you its colors. 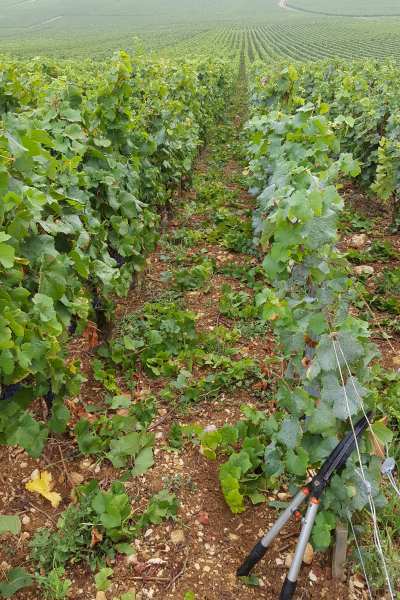 Denis already took care of picking the dead vines, to help the soil regenerate this winter, and be ready for the young vines I will plant next spring. At the first frost, it will loose its leaves. Now she stores energy: her secret for a good start in a few months! My little vine has resisted frost and hail, and now the scorching heat at the end of August. But she takes it in stride. I'm glad to have delayed the last trimming of the leaves. Nothing better than its own shade to protect its grapes! 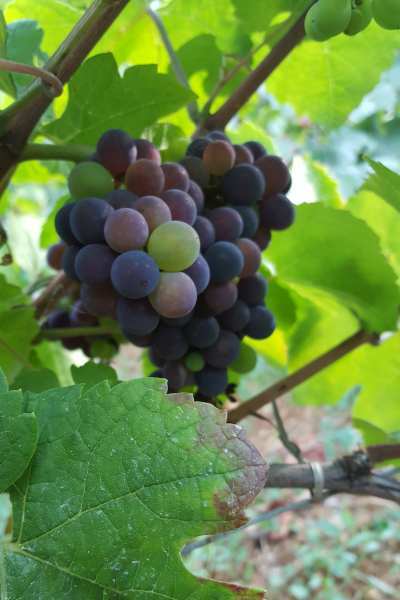 The veraison of my little vine has begun well, thanks to the nice weather in August. And we remain optimistic: the weather forecast is encouraging. 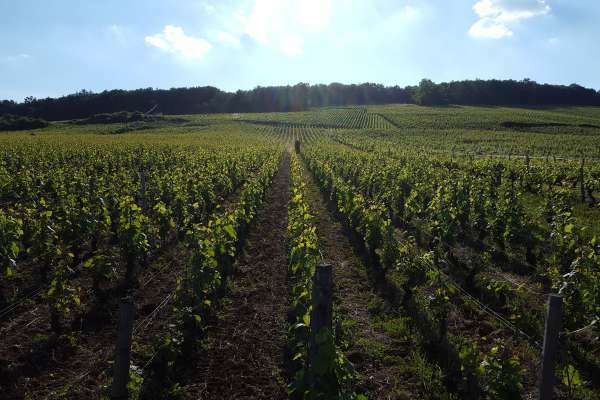 We expect the beginning of the harvest at the very end of September, as the flowers tend to indicate. But they will most likely be spread on more days than usually, the parcels that suffered frost being late. My little vine is finally enjoying a pleasant weather. It escaped mildew, as much as she could, with a few "feathers" ruffled... Now the few berries left are nicely growing. We wish her a pleasant August. 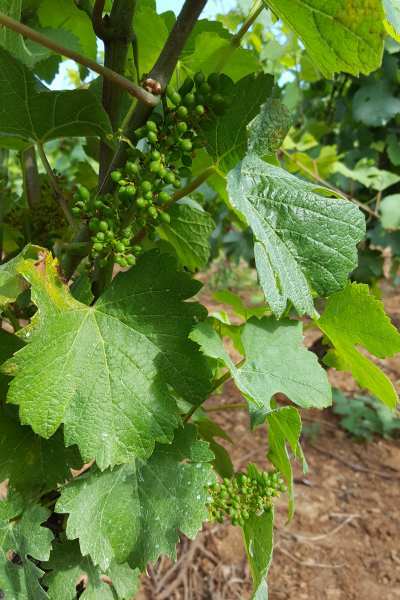 My little vine shows a few traces of downy mildew attack, but it is fighting well, and the berries are growing. 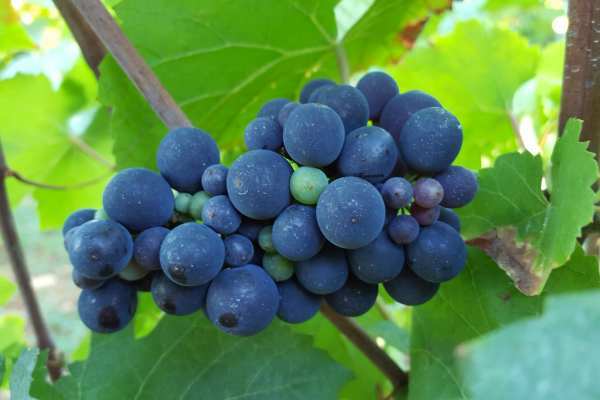 The danger is still there as powdery mildew can come next, with the relatively cool nights. And hail is still a threat until harvest time. 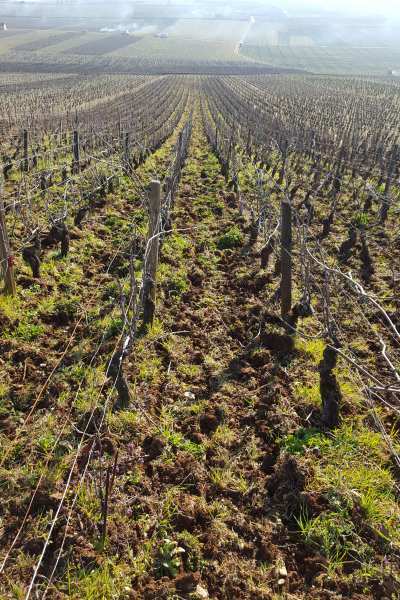 Nevertheless, hopes remain at the domaine Naudin ! My little vine has bloomed! Who could have imagined? Thanks to two nice days last week, it has rather well developed. But the rot keeps bugging me and it is not over yet. So I take the best care I can of her. And I am still a believer ! Almost one month since my last posting. Like my little vine, I was paralyzed. 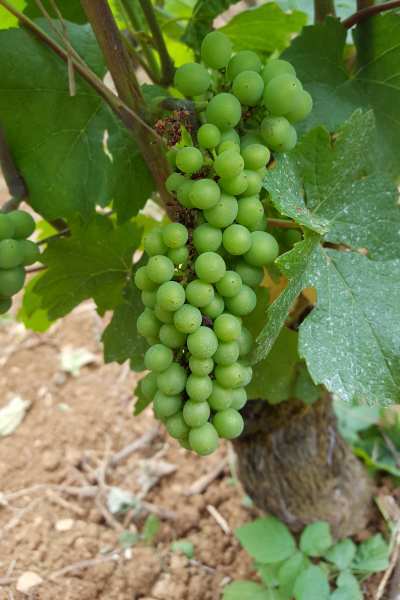 But since the last few days, thanks to a few warm and sunny days, it has started to grow again, and will give me some grapes, a very pleasant surprise. 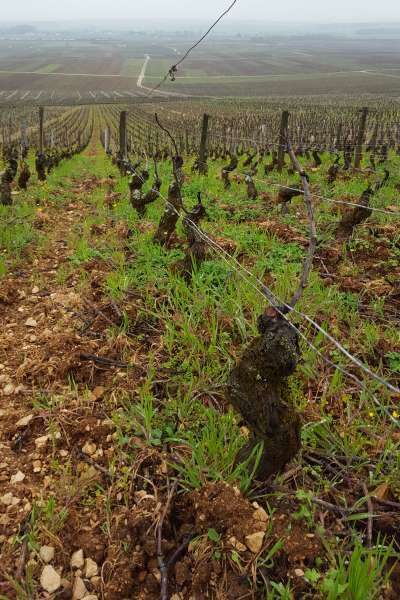 The old aligoté vines are those that have the hardest time. I keep hoping for the best, a stem saved here and there: I have learnt to tone down my expectations! 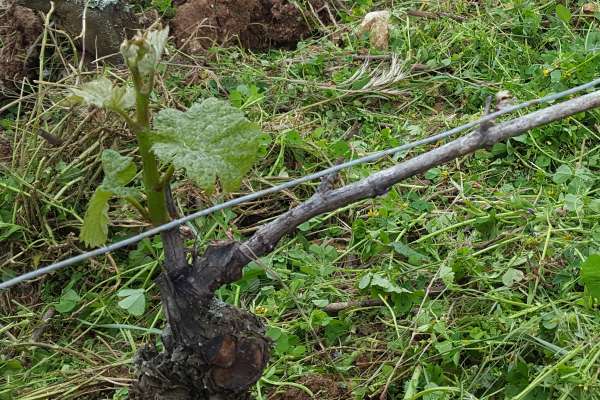 My little vine is harnessing all her energy to grow, in spite of the frost, the cold that does not end, the treatening hail... We are worried: how to protect the few remaining branches? But we need to remain hopeful and think ahead at 2017. My little vine has been attacked by a late frost. 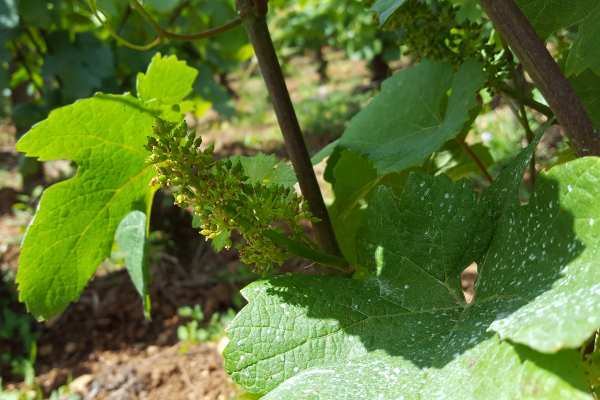 In the Echezeaux maybe 5 à 10 % of the buds are untouched. In other parcels, there is less damage, so we remain hopeful and seek advice from our elders. They know how to manage this. And hte younger vitners are suddenly feeling old... In a few days, I'll post an update on the home page. I'll wait for the expected nicer weather to see what can still grow. My little vine is slowly growing, in spite of the low temperatures, the rain, and the frost. Like all the other wine producers, I am worried: this cold weather is forecasted to last until May 5. 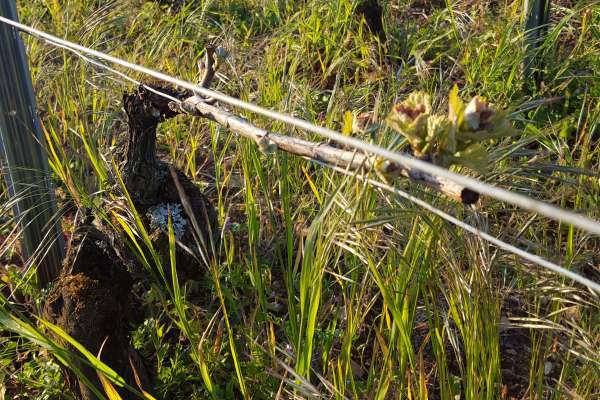 Our vines are very sensitive to the morning frost as the buds have started to grow. 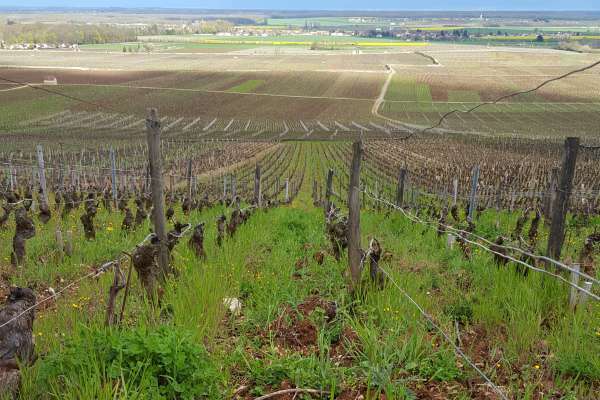 My thoughts to my friends in Maconnais and Beaujolais who saw hail on their parcels. 2016 is beginning with a very unusual weather pattern. Let's keep our spirit high ! Rain is falling regularly. We have trimmed my little vine and will tie the stems next week. 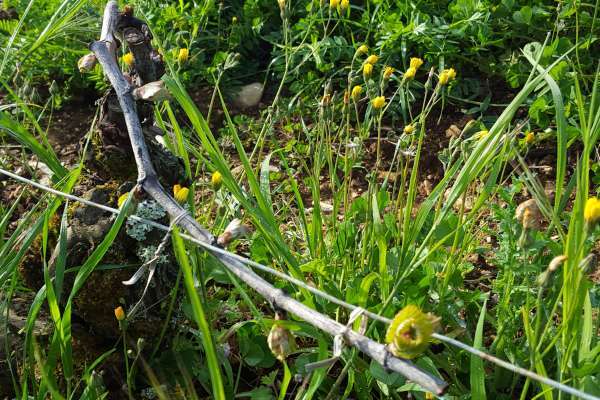 The temperature remains low, and the buds are barely growing. After fearing, in February, for a precocious start and an August harvest, maybe a slow year after all?